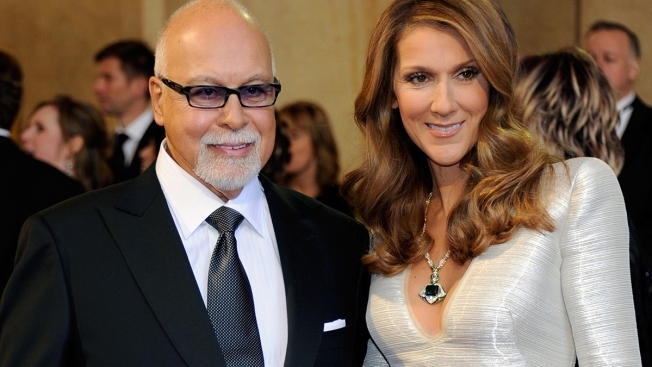 Rene Angelil and his wife, singer Celine Dion, arrive at the 83rd Annual Academy Awards at the Kodak Theatre February 27, 2011 in Hollywood, California. After losing her husband René Angélil to a decades-long battle with cancer, Céline Dion knows the show must go on even if her heart never will. "You know what, I'm 48 years old and I lost the love of my life. I miss him a lot from when he was great but not when he was suffering," she candidly said to People. "I cannot be selfish. You have to let people go. I feel at peace. However, finding such peace was not an overnight process for the Grammy-winning music icon who had known her late husband nearly all her life. After meeting him at 12 years old, Angélil immediately became Dion's agent and transformed her into a success in Canada. 14 years later, they became husband and wife and remained that way for over two decades as she continued to rise up as one of the most notable singers in music history. Unfortunately, their partnership in and out of the studio came to an untimely halt when the producer passed away in January after fighting throat cancer for the second time. #CelineDion opens her heart about her late husband #RenéAngélil—who she lost to throat cancer at age 73. To read more, click the link in our bio. "It's been a long, long journey," Dion told the magazine about Angélil's declining health. While Dion consistently kept a brave exterior in the public eye, the mother of three faced terrifyingly trying moments at home. "We were living in hope, knowing that there's no hope," she said. "There were times when I was very, very scared and he'd write me 'The end is near, I feel it.' I would go back and say, 'How can you say that? Are you in more pain?' Now I know it's possible for someone dying to feel when it comes." When his last day arrived, Dion asked him not to worry and assured him she and their children were going to be okay. Then, she plead for him to go in peace. "I covered him because he was very cold," she said in an interview on ABC's "Good Morning America." "I took one of his bathrobes. I put one on him, one on me and I talked to him in his ear. I kissed him so much." The loss was equally difficult to explain to the couple's three young sons, René-Charles, 15, and twins Eddy and Nelson, 5. "The only thing I wanted is for them to say up," Dion said on "GMA," referencing the Disney film, "Up." "Up is a good thing. Up is uplifting." Nearly five months since his passing, Dion has resumed many of the projects she began with Angélil at her side, including performing in her Las Vegas residency show. "I really, really want to prove to my kids their mother is strong," she told the magazine. "He left me with all of his strength. Every day we live with him, just not physically. I'm thankful that he does not suffer anymore." On May 22, Dion will be honored with the esteemed Billboard Icon Award at the annual award show, where she will also take the stage to perform an all too fitting rendition of Queen's "The Show Must Go On"—her first live performance since losing René. "René always insisted the show must go on," she told People.